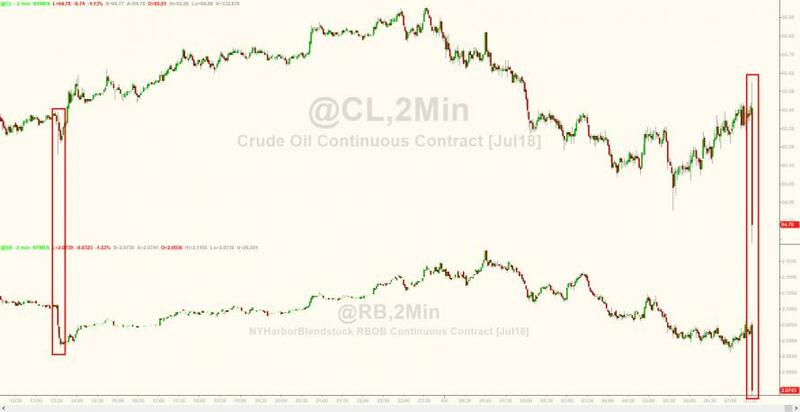 WTI/RBOB are trading lower - near two-month lows - after API reported a big gasoline build overnight (but crude draw), as traders anticipate EIA's confirmation (or denial as in the case of last week). However, a big surprise crude build (and gasoline build) sent prices notably lower, along with production hitting a new record high. 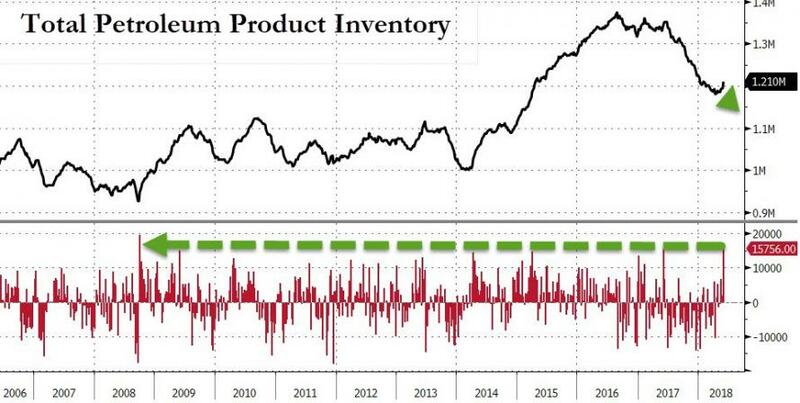 Once again API was completely wrong on crude's inventory data. 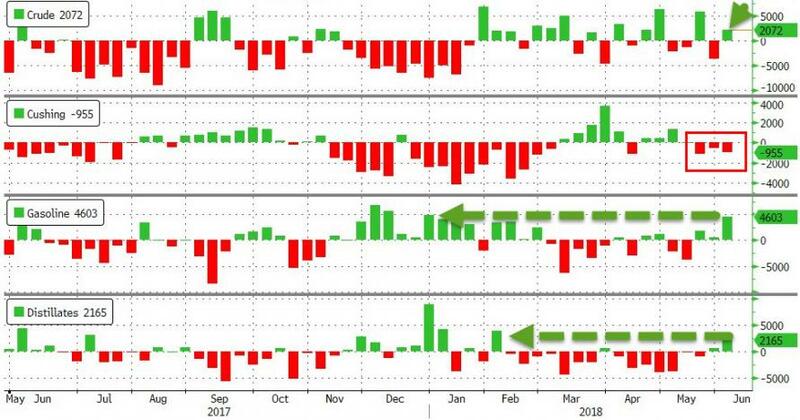 A big surprise crude build - along with major builds in gasoline and distillates - was a big shock for traders. However, this is the 3rd weekly decline in Cushing stocks. 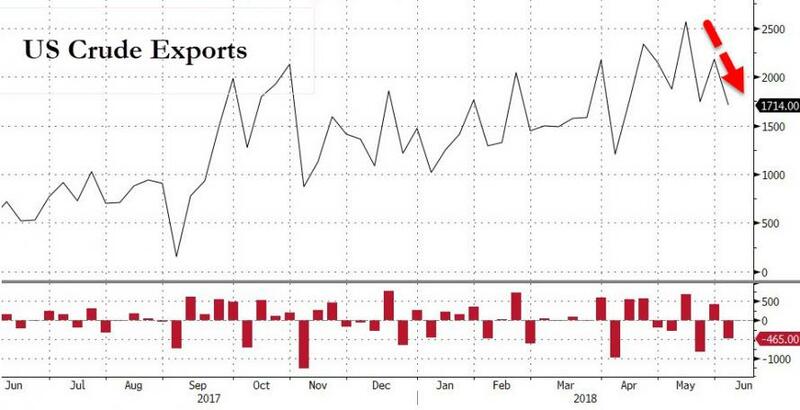 Total petroleum supplies soared 15.8 million barrels last week, the biggest weekly gain since October 2008. 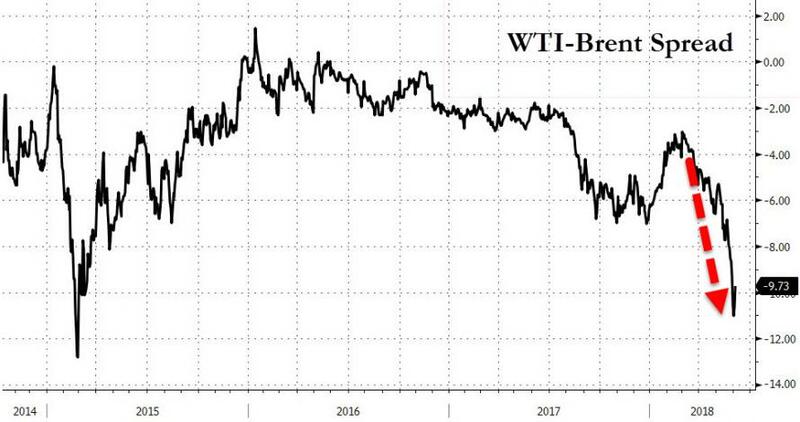 Crude exports were expected to remain high since the Brent/WTI spread is so wide... Bloomberg Intelligence Senior Energy Analyst Vince Piazza notes that crude oil differentials blowing out to more than $9 a barrel vs. Brent drive the near-term narrative as summer driving season kicks into gear. Strong domestic production estimated above 10.7 million barrels a day is balanced against a tighter oil complex with elevated exports and refining demand. 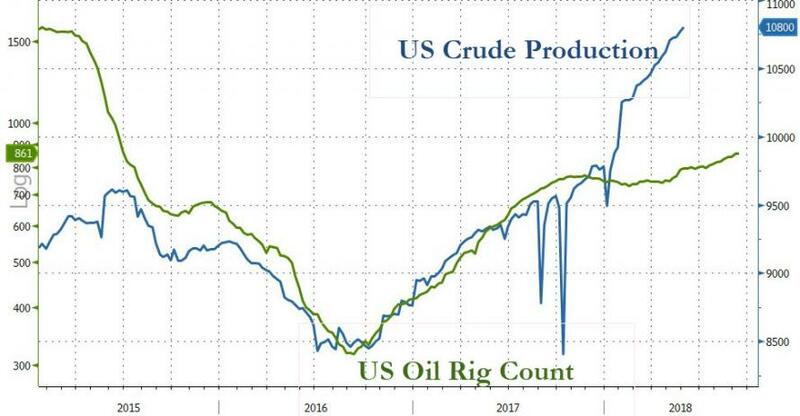 But, interestingly, Bloomberg notes that booming production in the Permian has outpaced pipeline capacity, causing the spread between WTI Midland and Houston to blowout beyond $20 a barrel last week. 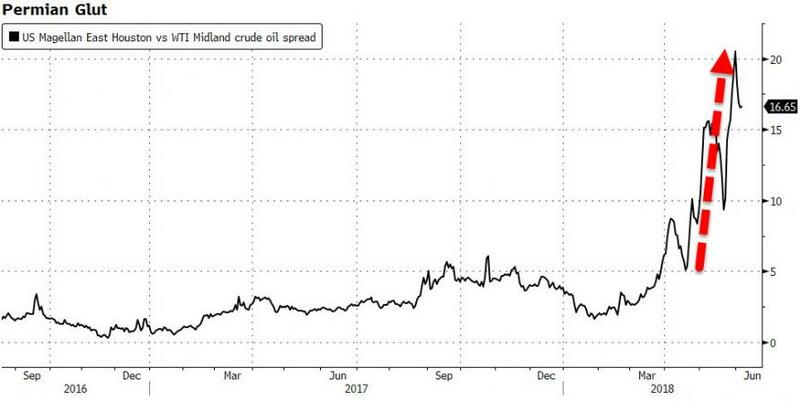 Gulf Coast refinery runs and exports coupled with the production number will determine if the discount for Midland crude to Houston continues to widen. "The API [crude draw] number, if confirmed, should help prices,” says UBS Group AG analyst Giovanni Staunovo. “The market should stay in deficit” despite Venezuela President Nicolas Maduro’s comments his country stands ready to raise production should OPEC decide to do so, he said.